When getting ready for school one day Carter is surprised to find a real English butler at his front door. The butler tells the family that he has been willed to them by their paternal grandfather. Although skeptical, they need his help right away when their car breaks and the butler takes them to school in his huge auto. The butler eases the burden for everyone in the family, especially since Carter's dad is in the military and stationed overseas. But the butler is also something of a pain because he expects the kids to do their homework and chores. Additionally, he expects Carter to learn to play cricket and has soon managed to recruit an entire team and secure a field for practice. I am a big Gary Schmidt fan which is why I requested this book but I have always felt that his books have much more appeal for adults than teens. Despite that, there have always been a few students who get into his work and are able to grasp some of the deeper themes in his writing. I just don't see this being one of those books. There is SO MUCH cricket! Why is there so much about a sport that will not be familiar to most Americans, teens in particular? 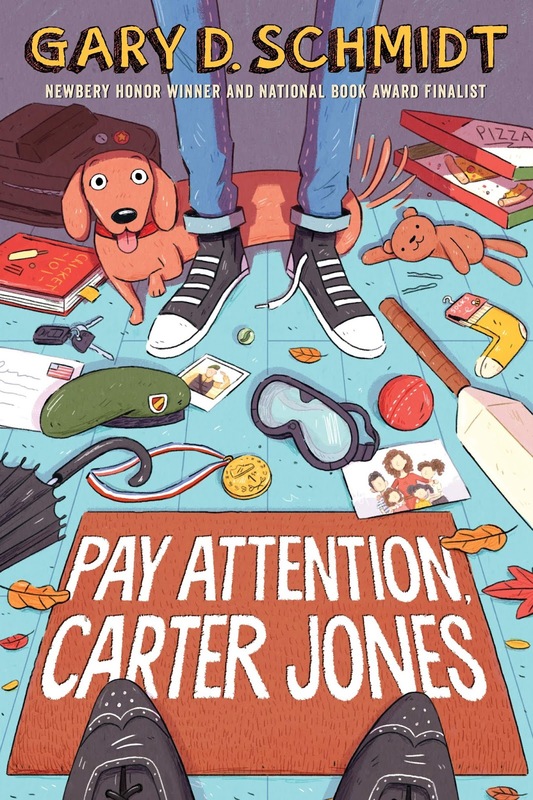 If the butler had just had Carter play it as part of the story that might've been okay, but a knowledge of the play by play is necessary to follow so many of the passages. Then there is the typical formal phrasing we usually get from Schmidt and the reveal of what is really happening with Dad which is supposed to be emotional but since I was not invested in the story or Carter's relationship with his dad, it all just fell very flat. There are lots of books I read that I do not care for personally but that I can still sell to my students. This is not a title I would even purchase for my library because I don't see any audience for it.